Brands! Are you Looking for a great way to get your product promoted and on the minds of shoppers this holiday season? 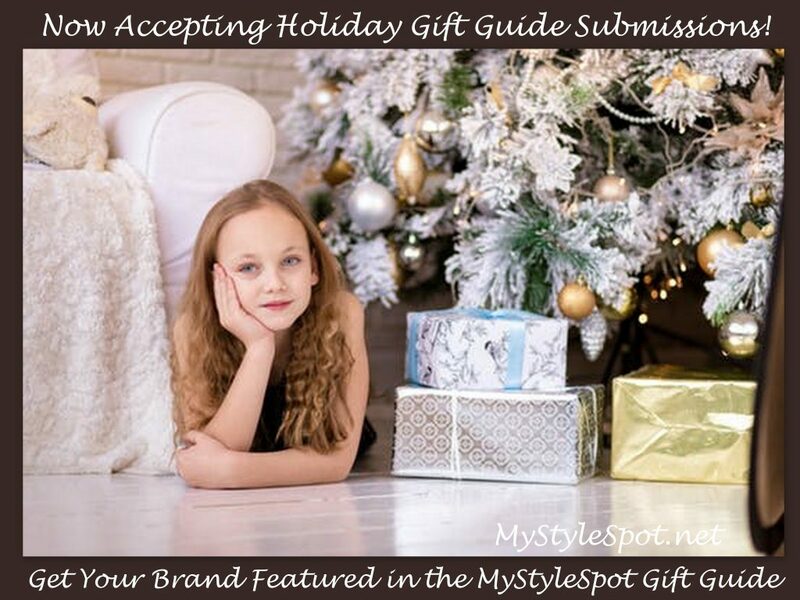 The Holidays will be here before you know it, and it’s time to start building awareness for your brand right now to help increase sales for the busiest shopping season of the year by submitting your product in the MyStyleSpot Holiday Gift Guide! See the shopping statistics and how bloggers and influencers are increasing sales for Holiday shopping HERE! MyStyleSpot is now accepting submissions for the 2018 Holiday Gift Guide! Products are now being accepted with $450 submission fee, which includes a spot in the 2018 MyStyleSpot Holiday Gift Guide! All submissions should be received by Nov. 15th. Late submissions will be accepted up to Dec 1st, for an additional $75 fee. *There will also be a GIVEAWAY included in the gift guide. This is a great way to bring lots of attention to the post and holiday gift guide! Please let me know if you would like to include an item for the giveaway. Each sponsor will be allowed 2 free raffle copter entries (visiting the sponsors Facebook page, following on Twitter, Instagram, etc). *Please note, sponsors are responsible for shipping prize to the winner. Gift guides are posted and sent out in an email blast the first week of December. Fashion – clothing, accessories, jewelry, shoes, bags, etc. Beauty products – skin care, cosmetics, bath and body, hair care. Want to also be included in the MyStyleSpot 12 Days of Christmas Giveaways! Learn more and Sign Up HERE!